In addition to routine cytology and HPV testing, ARUP offers a number of esoteric tests for gynecological cancers. These include a sensitive PIK3CA pyrosequencing test that is capable of detecting mutations in all three positions in the three hotspot codons with no pseudogene interference. Immunohistochemistry tests for PTEN deletion and p53 mutation are available. ARUP also offers the traditional CA-125 and the newer HE4 serum tests for monitoring epithelial ovarian cancer. Dr. Bronner is a Carl R. Kjeldsberg presidential endowed professor of pathology at the University of Utah School of Medicine. Dr. Bronner received her MD from the University of Pennsylvania and completed her pathology residency training and chief residency at the Hospital of the University of Pennsylvania in Philadelphia. Dr. Bronner’s honors include her election as president of the GI Pathology Society, election as council member of the United States and Canadian Academy of Pathology, and, in 2005, the award of the Arthur Purdy Stout Prize, recognizing her work as a surgical pathologist under the age of 45 whose research publications have had a major impact on diagnostic pathology. 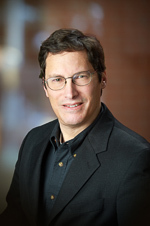 Dr. Bronner is an editorial journal board member for Human Pathology and Modern Pathology. She has served as an investigator on numerous NIH and foundation grants over the course of her career and has published more than 100 peer-reviewed articles and numerous book chapters. Dr. Chadwick is an associate professor of anatomic pathology at the University of Utah School of Medicine. She received her MD at Loma Linda University in California where she also served as a pathology fellow. Dr. Chadwick completed her residency in anatomic and clinical pathology at the University of Utah School of Medicine and was a cytopathology fellow at the University of Washington in Seattle. She is a member of the United States and Canadian Academy of Pathology, American Society of Cytopathology, and College of American Pathologists. 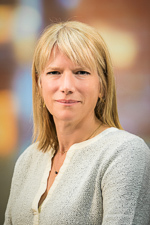 Dr. Chadwick’s research interests include the use of molecular markers in cytopathology, pancreatic and biliary cancer, and cervical cancer screening. 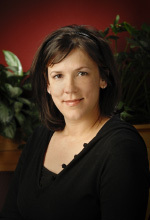 Dr. Jarboe is an associate professor of pathology at the University of Utah School of Medicine. She received her MD from and completed her anatomic pathology residency training at the University of Colorado School of Medicine. Subsequently, she completed fellowships in women’s and perinatal pathology and cytopathology at Brigham and Women’s Hospital in Boston. Her primary subspecialty and research interest is in gynecologic pathology. Dr. Jarboe is a member of the editorial board for the International Journal of Gynecological Pathology and the cytopathology section editor for the American Journal of Clinical Pathology. Dr. Samowitz is a professor of pathology at the University of Utah School of Medicine. He received his MD from SUNY Downstate, and completed residency training in anatomic pathology at the University of Chicago and fellowship training in gastrointestinal pathology at Johns Hopkins Hospital. His clinical and research focus is gastrointestinal pathology and the molecular genetics of colorectal cancer. 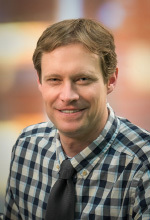 Dr. Witt is an assistant professor of anatomic pathology at the University of Utah School of Medicine, where he serves as the residency rotation director for cytopathology. Dr. Witt received his MD at the University of Colorado Denver, School of Medicine and completed his AP/CP pathology residency at the University of Chicago (NorthShore) where he served as the chief resident during his last two years. He also completed a cytopathology fellowship at the University of Utah/ARUP Laboratories, and is board certified in anatomic and clinical pathology, with subspecialty boards in cytopathology. 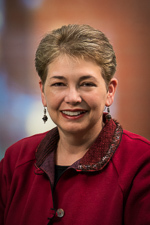 Dr. Witt is a member of the College of American Pathologists Cytopathology Committee, the American Society for Clinical Pathology, and the American Society of Cytopathologists. His research interests include studies related to fine-needle aspiration and head and neck pathology.